Learn what you can do for each employee to make positive and constructive choices about work performance, self-development and interpersonal engagement. The Professional Growth Process provides the necessary structure. It’s a process that’s continuous, forward looking, optimistic and supportive of growth. Anyone can be a part of it and choose to make their role in an organization more meaningful. Learn the details of LifePsych® Coaching (LPC) and how to integrate “work performance,” “self-development” and “interpersonal engagement.” This coaching method implements the Professional Growth Process (PGP) and a detailed recording format (PGPx) to promote consolidated, innovative personal growth. This method solidifies retention, habit creation and encourages goal-oriented personal innovation. A competency is a cluster of related abilities, knowledge and skills that enable individuals to act effectively in a particular job or position. While coaching competency is considered a complex array of capabilities, it is possible to minimize the complexity to manageable levels for professionals, leaders and employees. Learn how to master coaching competency and apply effective coaching methods to one’s self and others, which requires practice. Once the process has been learned and mastered, multiple coaching arrangements are possible. Courageousness and Confidence: What’s the Difference? Courageousness is chosen behavior based on decisions to act in the face of danger or apprehension. Confidence is the positive feeling that results from learning what works and what doesn’t after taking courageous action. Learn how to grow your confidence — up your positive psychological capital or self-efficacy, the belief in oneself that something has a high probability of being successfully accomplished. To improve performance, some quality improvement professionals suggest focusing on just one aspect of the moniker “Easier-Better-Faster-Cheaper.” Learn how to do all of them, all the time. Performance appraisals are often seen as incompatible with the mission-oriented, vision-driven and values-based work environments favored in most organizations today. There is a strong tendency for them to remind employees of autocratic management methods that are top-down and not suitable for modern leadership engagements. Learn what you can do to create useful appraisals. Most employees grow in expertise simply by showing up, observing the work activity and making a modest effort to do better. In many ways, this kind of development occurs very naturally and at a moderate pace over the course of an employee’s career. Some gains are intentional, while many are not. Hear what you can do to accelerate goal-oriented, micro-learning innovations. Growth is difficult and it’s often hard to understand why. On the surface, it would seem that choosing to change, deciding to change, thinking about change and then executing real change would be easy. Most often, it is not. Learn what you can do to create real change and sustain the gains. Learn how to attain the essential ingredients for goal-oriented achievement – courageous actions that build the feeling of confidence, continuous practice that solidifies the creation of habits, and the endless expansion of positive behavioral patterns. Grow or decay . . . and have a nice day. Growth is difficult yet has positive outcomes. Decay is easy and has negative outcomes. The will to grow by itself is not enough. Success in work, as in life, requires the will to grow intentionally and the application of consistent, disciplined energy to goal-oriented personal innovations which lead to organizational and business innovations. Here's a way for organizations and businesses determined to succeed to acquire a critical mass of employees who have that intention. Are you going to just "do" your job or will you "grow" your job? While it is tempting to become better and better at a narrow set of skills, the demands of the marketplace may begin to render highly specialized skills obsolete. Learn how to re-invent yourself in the context of organizational needs and market demands. When people find themselves in a situation where the challenge is great, but skill level is weak, they experience anxiety. If they find themselves in a situation where their skill level is excellent, yet their challenges are simple, they are likely to experience boredom. Here’s what you can do to enjoy consistent growth. Learn how to be more self aware, which is the first step to effective conflict resolution. Individuals who have a clear understanding of their own habits, needs, and values, also need to know the impact they are having on the people around them. Self-awareness is a good first step to improving conflict management skills, and is strengthened by constructive communication skills, emotional regulation and effective listening. 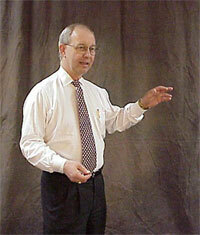 Presenter: David L. Hanson, Ph.D.
toward career aspirations and organizational goals. responsibilities and how they will be held accountable in the workplace. The LifePsych® Coaching (LPC) method is a systematic approach to coaching and supervision using this process. The PGP, in harmony with the LPC, encourages leaders to conduct courageous, goal-oriented conversations related to work performance, self-development and interpersonal engagement. Taken together, this method propels courageous actions that contribute to organizational innovations while helping teammates develop a stronger sense of belonging, successful work performance and personal significance. The PGP and LPC combination is an integrated and innovative substitute for all “performance appraisals” in any organization. Most importantly, the process encourages all teammates to take personal responsibility for their courageous action toward career aspirations. Participants will learn a systematic micro-learning coaching process that can be taught to others and how to align courageous action toward self-created goals. Participants will be introduced to the GEMA™️-Lead360 assessment tool that promotes teamwork and eliminates harassment, bullying and selfish behavior in the workplace. “self-centered goals.” According to the Law of Movement, they are incapable of moving in both directions at the same time. Participants will learn how the Law of Movement relates to leadership inferiority feelings. Participants will learn the available choices leaders have to usefully compensate for leadership inferiority feelings. The Professional Growth Process (PGP), combined with LifePsych Coaching (LPC), is a methodology for planning behavioral pattern changes, implementing behavioral actions and documenting the changes resulting from the process. This methodology combines “behavioral activation” and “insight oriented” theory. Dr. Hanson will demonstrate how this approach is in harmony with Behavioral Activation research and the personality theory created by Alfred Adler, called Individual Psychology. Dr. Hanson will describe how this personal continuous improvement process was implemented in his performance coaching practice with a Fortune 500 company, as he developed and applied this approach to over 800 employees in performance and executive coaching engagements. While this method has mostly been applied in an organizational setting, Dr. Hanson will clearly illustrate the ubiquity of this approach to a wide variety of situations, where behavioral change is the purpose of the intervention. Participants will be given free access to the planning and documentation format called the Professional Growth Process – Excel Version (PGPx) tool for their immediate use in their own practice.